When most visitors go to New Mexico, Santa Fe is usually their number one stop, flying into the Albuquerque Sunport and then driving on to the Fe. But in leaving Albuquerque, they’re missing out on discovering a vibrant city full of history, excellent food and drink, Hispanic and Pueblo arts and culture, and the best nightlife scene in central New Mexico. Albuquerque is fast establishing itself as New Mexico’s cosmopolitan center, and one of the best times of year to take in the flavors, excitement, and unique Southwestern culture of the city is during fall. Here are nine reasons why Albuquerque is one of the most underrated fall destinations in America. 1. It’s green chile roasting season. 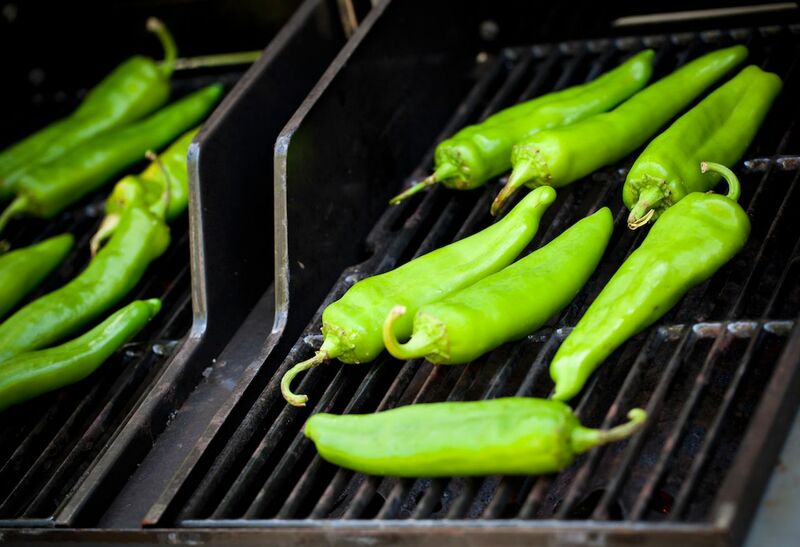 New Mexicans wait for fall year-round for one thing: green chile roasting season. Drive by almost any grocery store in the Duke City, and you’ll see giant metal cylinders filled with fresh Hatch green chiles rotating over low flames, roasting the chiles to perfection. The smell is heavenly. Then, head to any number of restaurants to try this New Mexican delicacy in virtually every meal imaginable, such as the Owl Cafe for its green chile cheeseburger or the Frontier for green chile burritos. 2. You can try all the state’s craft beers at HopFest. Betcha didn’t know that New Mexico has a crazy good craft brewing scene. Some of the state’s best breweries, like Marble Brewery and La Cumbre Brewing Company, come from the ABQ area. Fall sees the release of several seasonal craft brews (including some pumpkin ales if that’s your thing). 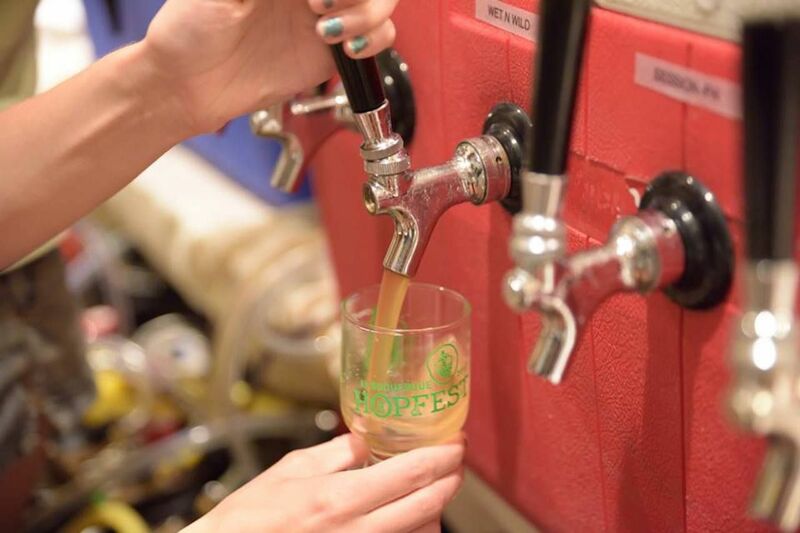 But if you want to try all that the region has to offer, the annual HopFest is on September 8, a few days before fall officially kicks off. 3. The weather is perfect for exploring historic Old Town and Nob Hill. After an unbearably hot summer, the change of season is a welcome respite for ABQ locals. Fall weather is typically splendid — warm, sunny days, and pleasantly cool nights — making it the perfect time to meander on foot through the city’s historic districts: Nob Hill and Old Town. Located near the University of New Mexico, Nob Hill used to be part of the historic Route 66, so the road is lined with brilliant neon signs, All-American diners, quirky shops, and classic architecture from that era. It’s a great place for vintage shopping by day and a hip nightlife hotspot come sundown. Closer to the Rio Grande, Old Town is full of classic Hispanic architecture and historic Pueblo-Spanish adobe buildings. Use the beautiful central Plaza as a base for exploring hundreds of stores, art galleries, and restaurants. 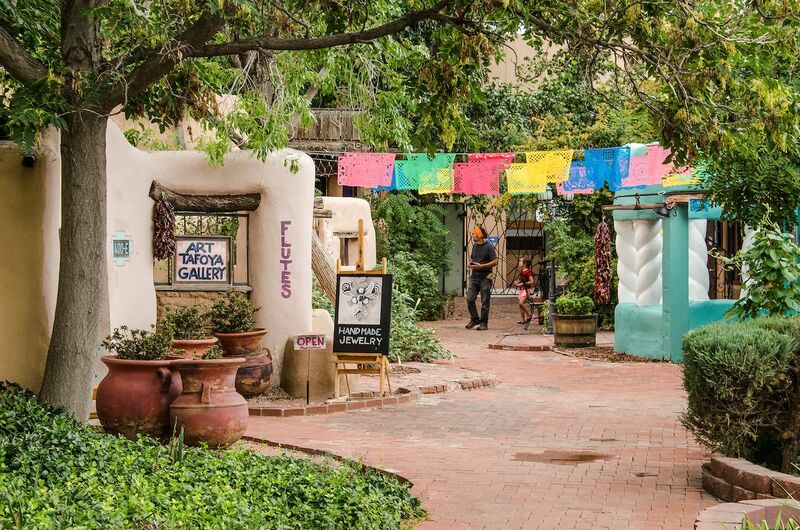 The Old Town is also close to some of ABQ’s most interesting museums, such as the Turquoise Museum, Rattlesnake Museum, and New Mexico Museum of Natural History. Be sure to stop by the gorgeous San Felipe de Neri church, the oldest in all of ABQ. 4. The International Balloon Fiesta is a dazzling spectacle. 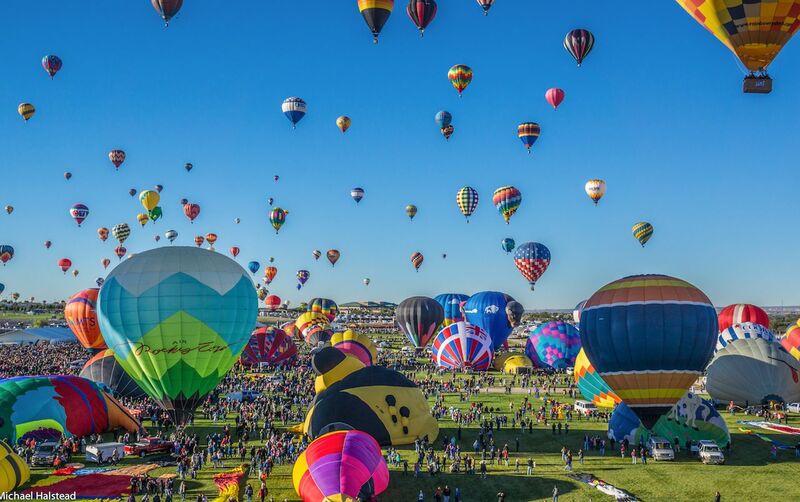 For a week every fall, hundreds of colorful hot air balloons designed to look like everything from the stars and stripes to Darth Vader dot the skies of Albuquerque for the International Balloon Fiesta. This year’s festivities will take place from October 6 to 14. Get there in the early morning to watch the balloons ascending into the dawn, then go on a balloon ride for an aerial view of the fall colors along the Rio Grande River. In the evening, visit the “Glow-deo” where the inflated balloons are lit up with their burners, creating a field of giant floating lanterns. 5. The tramway up the Sandia Mountains has the best fall foliage views. The dramatic Sandia Mountains tower over the city, and the views from the top are stunning. Take the Sandia Tramway up to the observation deck, which sits more than 10,000 feet above sea level. 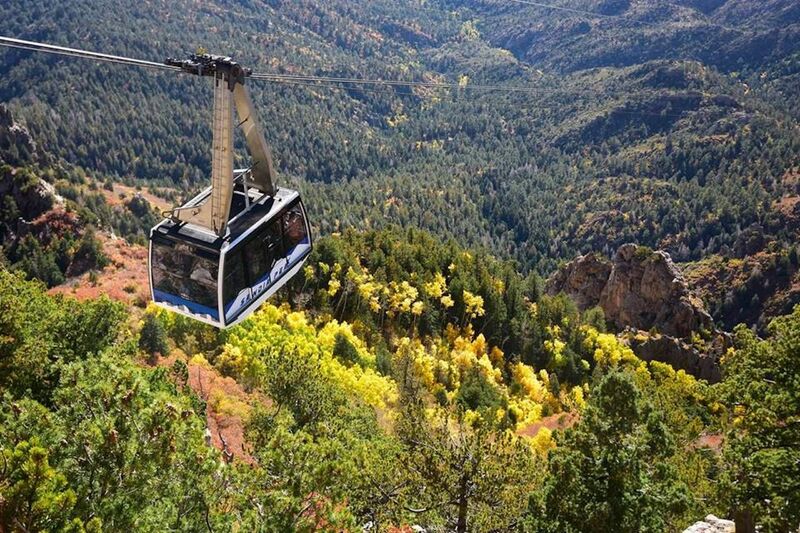 This aerial tramway stretches for more than two miles over plunging canyons, forests, and peaks. It’s the longest of its kind in the US, and it’s definitely a thrill to soar over the spectacular mountain scenery as the city shrinks behind you. A popular time to go up is later in the afternoon in order to get the best view possible of New Mexico’s famous sunsets, but during the fall, daytime is also great as you can appreciate the brilliant autumnal foliage in the Bosque forests lining the Rio Grande River. 6. There are tons of local harvest festivals. Much like most of the US, fall is harvest season for farmers in Albuquerque. 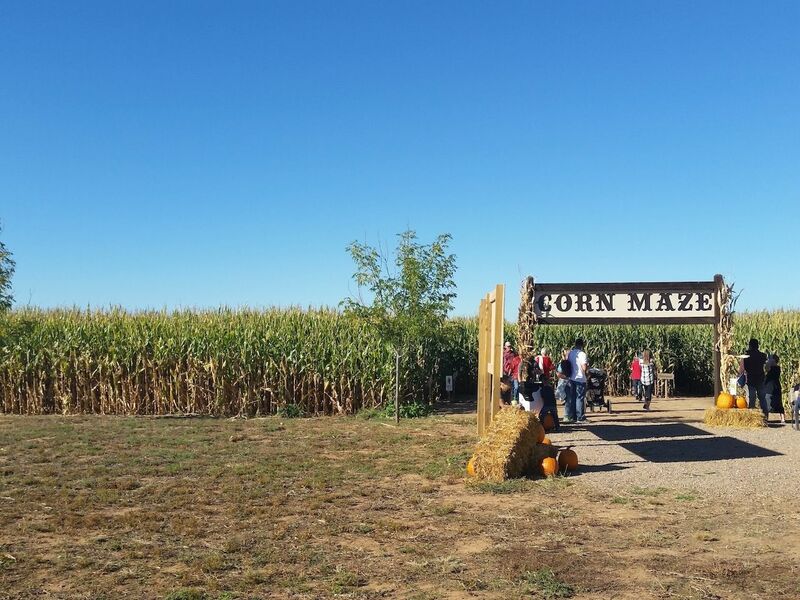 Experience the season’s bounty by going apple or raspberry picking, visiting the Rio Grande Community Farm corn maze, or sampling fresh-pressed cider. Throughout the season, there are multiple harvest festivals in the city and in nearby towns like Mora and Moriarty. (The McCall’s pumpkin patch in Moriarty is legendary). Attending these festivals is a wonderful way to experience the unique flavors of fall in New Mexico, like pinto beans and green chile. 7. There are no crowds at the BioPark. Summer sees Albuquerque BioPark packed with families, but come fall, the crowds dissipate and you can enjoy the zoo, aquarium, botanical gardens, and beach in peace. 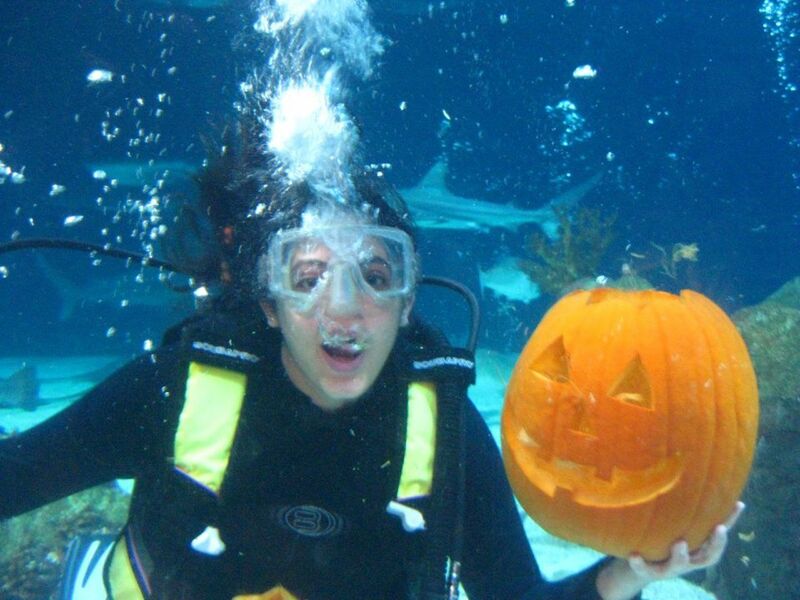 There are great activities at each park: The zoo’s CatWalk is home to lions, tigers, (not bears, those are in a different part of the zoo), cougars, and more; Tingley Beach offers dog-friendly walking trails and fishing from dawn to dusk; and for Halloween, the aquarium has divers carve pumpkins underwater. 8. The crane migration at the Bosque is mesmerizing. As wonderful as ABQ is, we all need to get away from the city every once in a while, and one of the best spots to do so is at the Bosque del Apache National Wildlife Reserve. Made up of more than 50 acres of wetlands and forests, the Bosque is a wonderful place for birdwatching as more than 358 species have been spotted in the area. 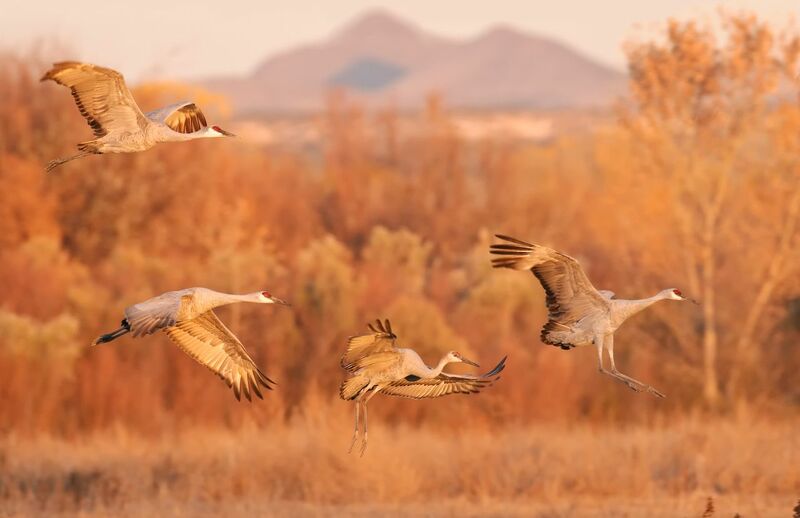 But fall is when the fun really begins as tens of thousands of graceful sandhill cranes descend on the Bosque during their annual migration, which is celebrated with the Festival of the Crane, held this year from November 14 to 17. 9. 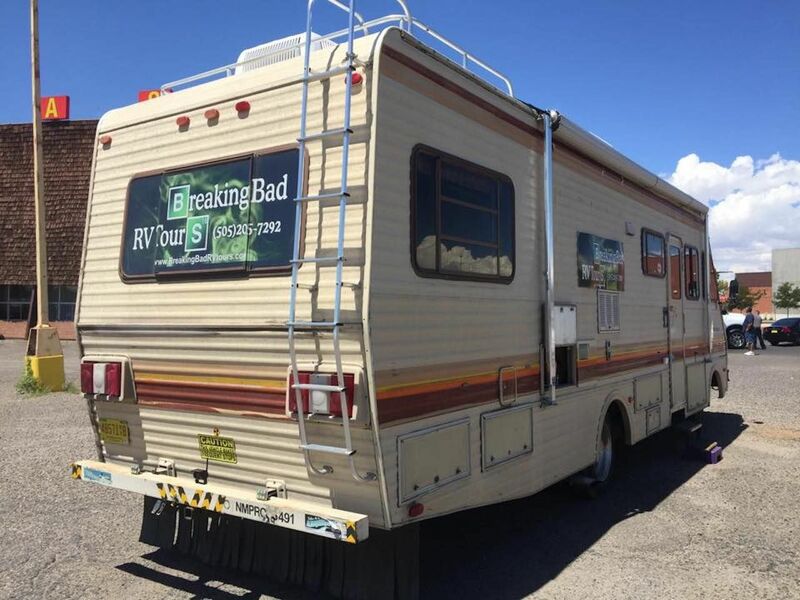 It’s Breaking Bad’s 10th anniversary, and you can go on an RV tour of filming locations. One of the city’s main claims to fame is for being the setting and shooting location of the popular drama Breaking Bad. 2018 is the 10th anniversary of the critically acclaimed show, so celebrate by hopping on board this lookalike RV outfitted to resemble the infamous one from the show. Spend the day visiting shooting locations for both Breaking Bad and Better Call Saul like Walter and Skyler’s house (please don’t throw a pizza on the roof), the Octopus car wash, Jesse Pinkman’s house, and more. You even get to eat lunch at Los Pollos Hermanos before visiting the Candy Lady to get tiny bags of her blue “crystal meth” rock candy.